Like a flood, middle school make out, or amateur adult film, it all began in the basement. 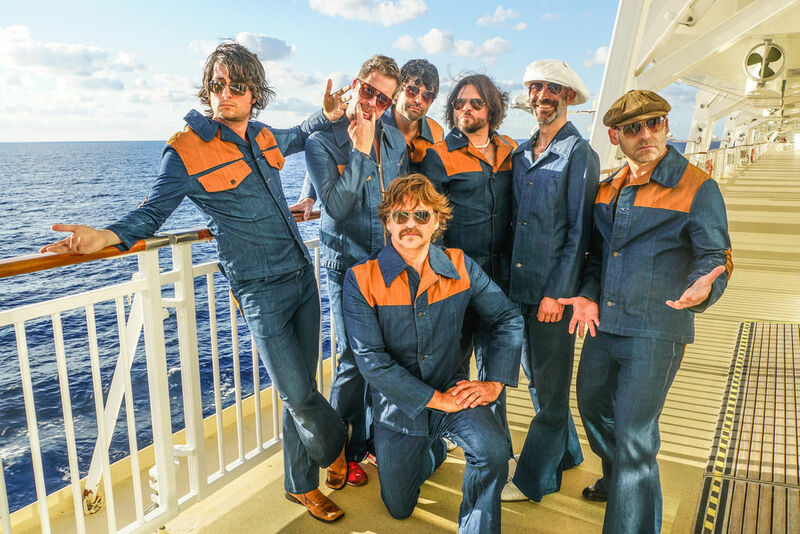 The now-famed Yacht Rock Revue was once a band called Y-O-U, pursuing dreams of indie rock fame, when they were given free reign over Thursday nights at 10 High. In the Virginia-Highland’s subterranean music lair, they did everything from original tunes to theme sets like Led Zeppelin vs. The Who to comedy (which bombed). But it was the impulse idea to smoothly croon ‘70s light rock (Hall & Oates, Michael McDonald, Linda Ronstadt, etc.) whilst wearing polyester, aviators, and captain’s hats that captured the people’s hearts. In early 2008, Yacht Rock became a weekly occurrence; by 2009 the city’s cool kids were packing out 10 High on Thursdays nights and tossing back PBRs in their own captain’s hats, and by 2010, the eight guys (only one of whom has since left the band to join Blackberry Smoke) quit their day jobs and began stockpiling polyester suits.Did the indie rockers dream of being a cover band? About as much as a Rich Girl wants to get a job at Shoney’s. But they were tapping into an underserved genre of music, captivating folks both young and old, and their legions of cultish fans are glad they stayed swayed with it. When they finally moved the tunes up to sea level, it was for a holiday show at the Variety Playhouse in 2009. They’d never heard of a local band renting out the place for a concert, so decided to give it a whirl...and it sold out. Yacht Rock was legit.